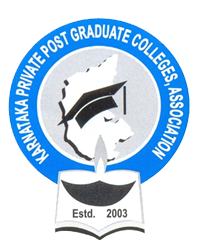 Karnataka Private Post Graduate Colleges Association conducts KMAT to offer different Management courses like MBA, MCA etc. Candidates, who want to take admission in Karnataka for Management courses then they have to qualify the KMAT. KMAT 2019 will happen in the month of July. whoever is interested to take admission in Karnataka for Management courses follow the article for successful registration. KMAT Karnataka 2019 Application Form will be available on the official website i.e. www.kmatindia.com. Eligible candidates can apply for the KMAT Karnataka 2019 Application Form on 1st June 2019. to check Eligibility Criteria feel free to check KMAT 2019 Eligibility Criteria section. Candidate needs to create a new ID to the official website of KMAT and the password will be sent to the candidate's email address. Candidate needs to keep the User ID and Password. For the further process of KMAT 2019 user ID and password will require. The candidate who has satisfied the eligibility criteria has to mention if they are a native of Karnataka or if they belong to another state. The candidate has to pick a test venue of their choice. to know about test centres check KMAT 2019 Exam Centres section. Candidate can select only one KMAT Exam Centre. The eligible candidate has to make sure that they make the right choice since the exam centre cannot be changed once it's given. In the last process, the candidate who has fulfilled the eligibility criteria has to pick their course (MBA/ PGDM/ MCA) accordingly. The eligible candidate to fill in the payment details for the submission for the course they have chosen. KMAT only have offline payment option. Candidate has to pay the KMAT 2019 Registration fee by DD (Demand Draft) payable at Bangalore or any Nationalized Bank in Favour of KMAT 2019. After paying the registration fee for respected courses candidate can download the pdf of KMAT 2019 Application form. Candidate has to take print out of the KMAT Application form. The eligible candidate is required to paste a recent passport size picture and signature in the space provided on the KMAT 2019 Application form. Mode: The KMAT 2019 registration fee can be made in offline mode. The applied candidates of KMAT Karnataka 2019 can also register offline. Demand Draft: The candidates who have fulfilled the eligibility criteria have to submit the Demand Draft payable at Bangalore or any Nationalized Bank in Favour of KMAT 2019. Post/ Courier the application along with the Original DD to the below-mentioned Address. Fee: The KMAT application fee for 2019 is INR 800/-. Note: Once the payment is made, take a copy of the confirmation. The Payment receipt will be required at the time of counselling. What is the application fee amount? Suppose a candidate wants to apply for MBA and MCA. Should they fill up one form or two separate forms? Candidates who want to apply for MBA and MCA have to fill up two separate application forms.